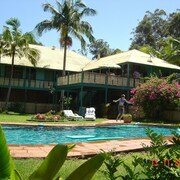 Situated in Biggera Waters, this motel is within 1 mi (2 km) of Harley Park and Harbour Town. Broadwater Parklands is 2.3 mi (3.7 km) away. Heaven;y - Clouds on Beechmont This is an excellent 2 bedroom chalet with great views. Fully equipped with many extras included. A stocked fridge, dinner, wine fruit, chocolate, cheese & biscuits. Well stocked DVD library and CD collection, comfy beds, very clean and best of all we were allowed to bring our pet dog! 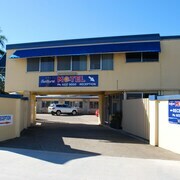 Situated by the ocean, this motel is within 1 mi (2 km) of Ian Dipple Lagoon and Broadwater Parklands. Harbour Town is 2.2 mi (3.5 km) away. 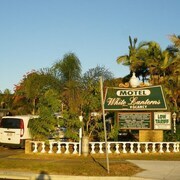 Situated by the sea, this motel is within 1 mi (2 km) of Harley Park and Harbour Town. 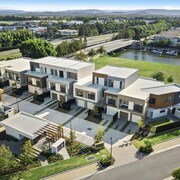 Broadwater Parklands is 2.4 mi (3.8 km) away. Have you ever thought about how great it would be to go on an extended holiday with your favourite four-legged companion? Look into deals at these pet-friendly hotels in Gold Coast. Spot, Buddy, Lucky or whatever you call them can finally come along and join in on the holiday festivities. 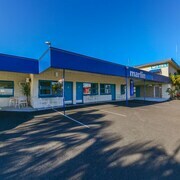 Book Gold Coast pet-friendly hotels with lastminute.com.au and you’ll have the perfect places to bring along those furry little critters you love so much. Forget about booking them a pet staycation in a kennel or with family (and then feeling guilty about it); they’ll have just as much as you on your getaway. Of course there’s special services and amenities for you, but wait until you see what’s in store for Buddy. Some places may offer on-site dog walking, front desk treats and grooming stations in order to pamper your pooch. Before leaving, scope out any nearby dog parks and walking trails so you can let your pet romp around. Don’t forget to check out the nearby pet-friendly restaurants so you and Fido can enjoy a delicious meal together. Finally, you no longer have to spend your holidays away from your beloved friend. 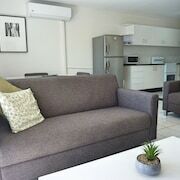 Search through lastminute.com.au’s variety of pet-friendly accommodation in Gold Coast. You and your loving pet will have a wonderful time away together, even if you’re booking at the last minute!